You can never have too many, we suppose. 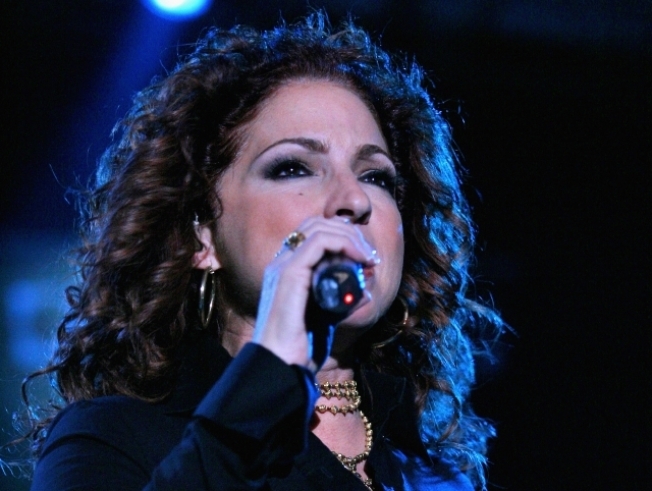 Emilio and Gloria Estefan and other celebrities gathered to record a Spanish-language version of "We are the World" on Friday to raise money for Haiti earthquake victims. Emilio Estefan said he was talking with Quincy Jones about the importance of the Spanish market when the idea developed. "You know, Latinos always want to do things in a positive way, to show the world that even we come from different places, we wanted to definitely help," he said. "I think now is the best time because people forget." Actor Andy Garcia was also participating and said that as soon as Estefan called him, he said he would take part. "You wish you wouldn't have to do a fundraiser for Haiti," he said. "It's going to need attention for quite some time ... It's not just a question of raising money today and everything is going to be all right." Other singers who were to participate in recording the track include Banda El Recodo, Carlos Santana, Chayanne, David Archuleta, Carlos Santana and Jose Feliciano. The song, "Somos El Mundo," was adapted by the Estefans, who partnered with Jones, Univision and the not-for-profit We are the World Foundation to gather the artists to record the song. Univision is underwriting, co-producing and doing distribution of the song, which goes on sale in March. All of the artists volunteered. "I just feel real good. I am not here as an artist. I am here as a human being," said Cuban-American singer and actor Jencarlos Canela. "I think that the world needs to realize that we cannot wait for a tragedy to happen to come together and to be united." Singer Chayanne said he was moved by the opportunity to work on the song. "You do it from the bottom of your heart and you really feel great to do something like this with Emilio and Gloria," he said. Singer Milly Quezada called it a chance to reach people who had not yet been moved by the events in Haiti. "It is a divine opportunity for us to stand together in solidarity. Obviously, this song is a beautiful song. Gloria made a beautiful translation," Quezada said. Singer Ednita Nazario said she was "flabbergasted" when she saw images of the quake's aftermath on TV. "I think you do what comes straight from your heart. Its important to keep Haiti in people's minds and heart. This is a longterm situation because it's not rebuilding a building, its building a whole country that needs help," she said "The difference is that Haiti has nothing." David Archuleta said it was great to see how many celebrities were willing to come together for the cause. "I love this song. It's just great to be able to be a part of it in Spanish," he said. Jon Secada called it a "momentous recording." "As a music community to be able to have the opportunity to come together and to do something that really matters, and give something back, it's important," he said.